What is the evolutionary advantage of death? Taxes may be inevitable, but death is an evolutionary puzzle. We are all getting older. The average human lifespan has doubled in the past one hundred years, prompting claims that 60 is the new 40 and 50 the new 20. But decade relabelling aside, we are still ageing in much the same way we always did: as we grow older, our risk of dying increases dramatically. Once the average British male hits their late 20s, their (initially small) chances of passing away will double with every decade that follows. Just as savings compound in our bank accounts each year, so does the probability we will soon leave the money behind. What puzzles evolutionary biologists, however, is how humans ended up with such a distinctive mortality curve. A world map of average life expectancy by country. How does your nation rank? Over time, natural selection should improve a species’ ability to survive and reproduce. So why do we die of old age? Surely a mutation that increases individuals’ risk of death should have been stamped out somewhere along the evolutionary path? Until the 20th century, many biologists thought that natural selection favoured old age because it made space for the next generation. If too many people lingered, the group as a whole would suffer. But there was a problem with this logic: the longer individuals live, the more offspring they generally leave. Death might create more room, but it won’t help a species survive. Can humanity survive a population of over 10 billion people? In the 1940s, biologists J.B.S. Haldane and Peter Medawar suggested an alternative explanation. For most species, individuals are usually killed before they reach old age. The pair argued that because the species' survival therefore rests on youthful individuals, natural selection shouldn’t favour harmful mutations that affect the young. In contrast, only a few individuals survive to old age, so evolution won’t be so efficient at mopping up mutations that are harmful to the elderly. In other words, the elderly are in a “selection shadow”, with mutations leading to old age – and its negative effects – creeping in as the species evolves over time. It was a nice theory, but at the time there was no evidence that natural selection could purge harmful mutations in the young, but miss them in the elderly. The breakthrough came in 1966, when William Hamilton tackled the problem mathematically. 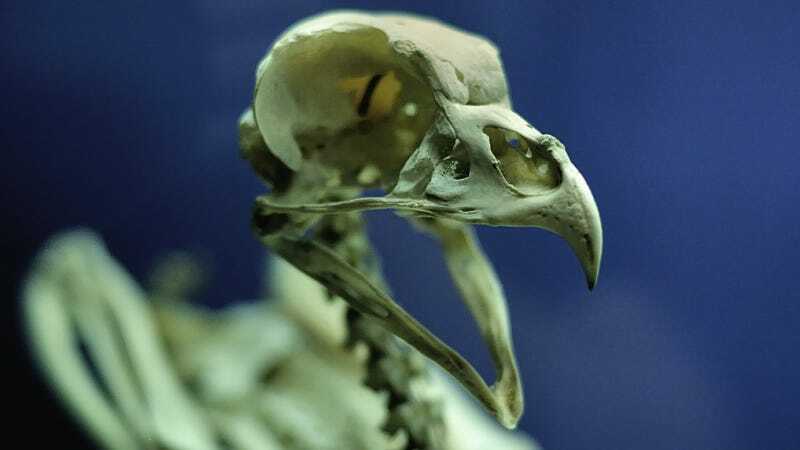 By examining the relationship between evolution and mortality, he showed that mutations in older age groups should have less effect on a species’ long-term survival. Just as Haldane and Medawar had predicted, the “force of natural selection” declines with age. Hamilton’s paper was a significant advance, but it had some important drawbacks. First, Hamilton assumed that natural selection was linear: two copies of a harmful mutation had twice the effect of one. He also analysed a population was genetically the same, with all individuals having the same number and type of mutations. Hamilton’s model – and others since – had to make do with such caveats because including more assumptions meant dealing with the inevitable mathematical complications. This year, however, researchers at the Universities of Berkeley and Oxford published a solution to the problem in PNAS. The group found a way to see how different types of harmful mutations shaped the age pattern of mortality when natural selection was not linear. The work made it possible to take specific assumptions – say about the rate of mutations, or how they are spread throughout a population – and turn them into predictions about the ageing process. Do these startling longevity studies mean your lifespan could double? One of the researchers' predictions was particularly curious. In Hamilton’s model, if harmful mutations affect only the elderly, natural selection produces the familiar upwardly sloping relationship between age and mortality. But in the new, more complex model, this relationship collapses: in a genetically diverse population, harmful mutations spread widely, causing the risk of death to rise for all adults. Order is restored if mutations that harm the eldest groups are also mildly damaging to younger individuals. In this case, natural selection prevents too many problematic mutations collecting over time. There are still questions remaining about the ageing process, however. For example, the new research cannot fully explain why some species survive so long after they stop reproducing. Social structure might play a role, with older groups nurturing younger ones, but it cannot influence the force of natural selection: mutations in one individual do not suddenly appear in their friends and family. Still, the ability to examine theories about mortality in this way is a useful new tool for evolutionary biologists. Mathematical approaches are providing insights into other areas of evolution too. From explaining why we co-operate to revealing how viruses evolve and spread, the most fundamental of the sciences is now helping answer some of the most fundamental questions about life. Adam Kucharski does not work for, consult to, own shares in or receive funding from any company or organisation that would benefit from this article, and has no relevant affiliations. This article was originally published at The Conversation. Read the original article here.